Now you can play in style with the Poker Controls plastic coated playing cards! 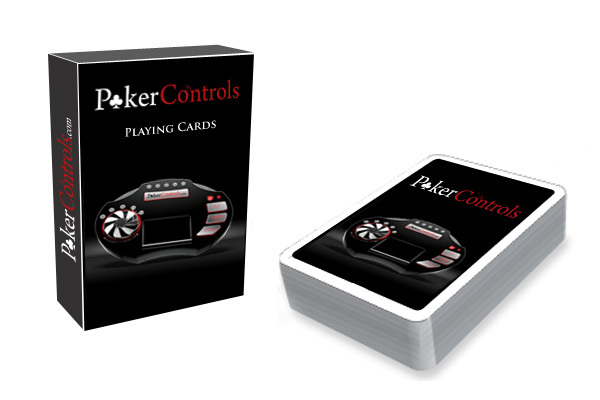 The Poker Controls playing cards are superb quality and perfect for all your favourite Poker and Card games. Designed in black, with the Poker Controls branding and a slick image of The Wireless Poker Controller, you will be the envy of all your friends when you bring these to your home poker game. This order is for two decks of cards. Click the button below to add the Poker Controls Playing Cards to your wish list.